A big hello to all you OHKOers out there. This is Pikkdogs here with kind of a strategy article. It may seem like the fourth of July was just a week or two ago, but the summer is now coming to an end. With the end of summer comes some of my favorite things: cooler weather, cool colored trees, American Football, and Battle Roads. Although I feel like writing an entire article about fall and how its the best time of the year (except bikini waxing day), I think we should get to the Battle Roads. Continue reading "How to Pick a Battle Roads Deck"
The Structure of the New Season. A News and Opinion Article. A big hello to all you OHKOers out there. This is kind of a news/opinion article about the upcoming season. The structure of the tournament season has been pretty stagnant for the last couple of years. The season starts in September and October with Fall Battle Roads, a small local tournament with a small ratings value. Next we have Cities starting in November and continuing in December. We then all celebrate Christmas and the New Year, and get ready for State Tournaments in March. Next we go to one day in April which hold the Regional championships. Battle Roads show up again in May and June, while Nationals are usually in June or July. And of course, the World Championships are in August. So that is what we have been doing for the past couple years. It seems like a good schedule, lots of events but not too many where people would be spending an excess amount of time and money going to tournaments. A lot of other card games have more tournaments, but this schedule seems to be pretty good for emphasizing local metagames. So what’s the problem? Continue reading "The Structure of the New Season. A News and Opinion Article." A big hello to all you OHKOers out there. This is Pikkdogs here with a Pikk Three article for you. If you are not a frequent reader of this site I will explain this article series for you. I will review three cards for you, one card is a commonly used card, another card is one that I think is under-used, and the third is a card that is from a new or yet un-released set. Does anyone need to go the bathroom? If not, we can start the show. Description– Typhlosion is a stage 2 140 HP Fire Pokemon with a weakness to water and a 2 retreat cost. Its Poke-Power afterburner lets you attach an energy card from the discard pile, and a damage counter to any of your Pokemon. 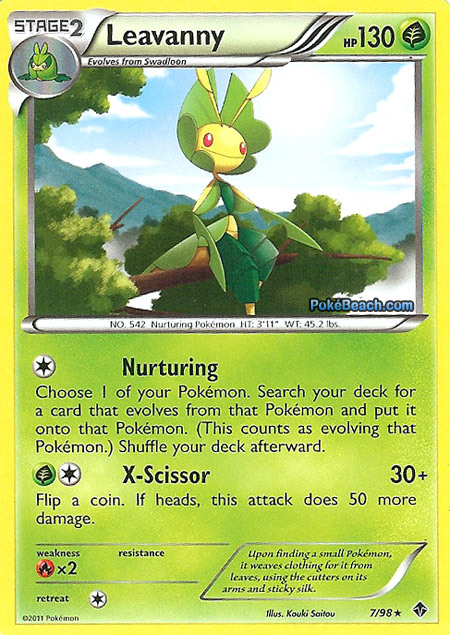 Its attack, called “Flare Destroy” does a lackluster 70 damage for FFC, but it has the awesome effect of requiring a discard from each of the active Pokemon. The best part is that you get to choose which energy goes in both circumstances, that means you can discard the DCE on pesky Pokemon like Zoroark and Boufallant. Continue reading "Pikkdogs Pikks Three: Typhlosion Prime, Ruins of Alph, and Durant"
A big hello to all you OHKOers out there. This is Pikkdogs here with a deck analysis for you guys. This deck has been called many things: Megazord, Stage 1 Rush, and others. 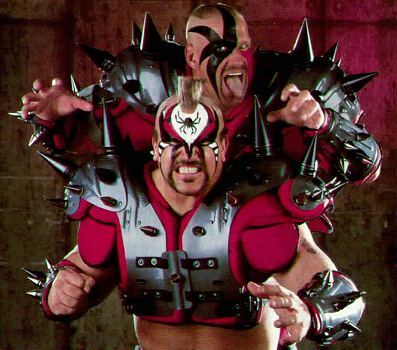 I call my deck “what a rush” because it is an easier take off of Stage 1 Rush, and of course who doesn’t like the Legion of Doom? The deck was popularized at Nationals by Kyle “Pooka” Sucevich, a tournament at which he narrowly lost in the finals. 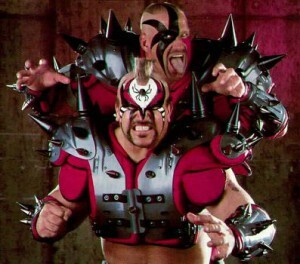 Continue reading "Deck Analysis: What a Rush! 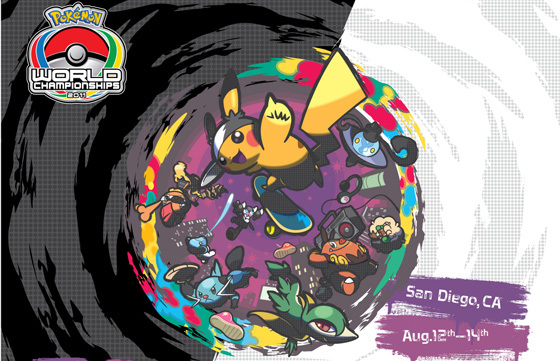 (Donphan Prime, Yanmega Prime, and Zoroark BW)"
This week we finally saw the 2011 World Championships come to a close and there were some very interesting results indeed. The Top 2 consisted of two interesting deck choices which I will go into detail about in this episode and I will also talk about why certain other decks did so well at the tournament. Continue reading "PokeClass Episode 39 – Worlds 2011 Recap"
A big hello to all you OHKOers out there. This is Pikkdogs here with a deck analysis. 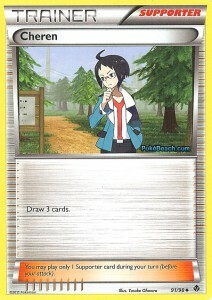 The deck we will be spotlighting is Res hiphlosion, a very consistent and hard hitting deck in the current format. Some are wandering if it can stand up to Pokemon Catcher, so lets find out. I had realized a couple days ago that this website has not had a Reshiphlosion list on it. So I thought I would change that. I will be happy when this article is published because people always come up to me and shout, “Hey,when are you going to write a Reshiphlosion article? and stop staring down my shirt!” Sometimes even girls say this. Anyway, The deck was popularized at U.S. Nationals. It seemed like everybody was going to play Reshiboar, and then everyone showed up with Reshiphlosion. The deck is really powerful and really consistent because it can manipulate energies very well. Just about every energy that you draw will be used and re-used thanks to Typhlosion Prime. Its that energy manipulation that makes Reshiphlosion really good. 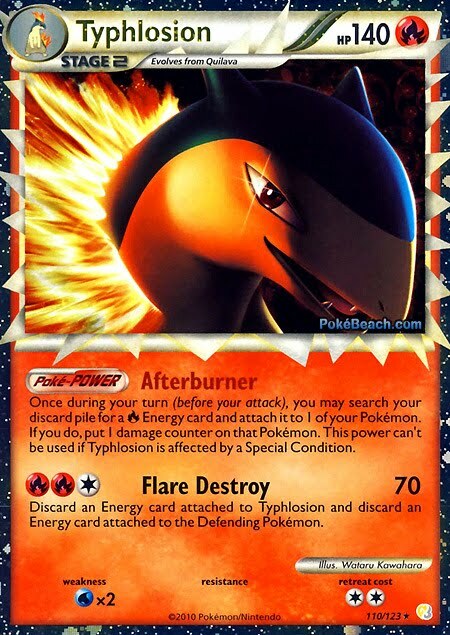 Continue reading "Deck Analysis: Reshiphlosion"
Hey all you OHKOers! Yes, it is finally time for Pikkdogs to release his list of the top 10 impactful cards of the next set. Emerging Powers is your 2nd Black and White Set. 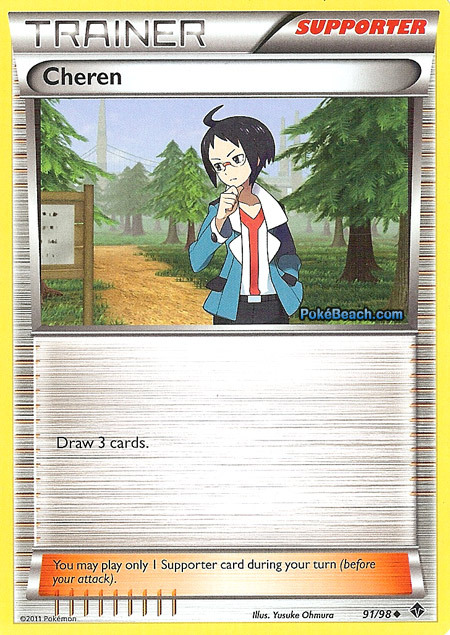 It is made up of cards that were in the Japanese Black and White sets, along with cards from the “Battle Strength Decks” and random Promotional cards. A lot of people are a little upset about this set because the current Japanese set seems to be a lot better than our Emerging Powers set. But, there are some good and impactful cards in this set. It is not one of the better sets we have seen in a while, but at least it’s better than Call of Legends. The thing I hate most about this set is that there is that it has another rare Unfezant that is useless. It seems like I pulled just about all of the BW Unfeazants, and now I feel like I’m about to get 150 more crappy Unfezants. But enough about my hatred of Unfeazant, let’s take a closer look at the set to get at the best cards. Continue reading "The Top 10 Impactful Cards of Emerging Powers"
A big hello to all you OHKOers out there, this is Pikkdogs here. Believe it or not, Emerging Powers pre-release tournaments are just around the corner. Although most people go to these tournaments for the cards and trading, its always nice to win; plus a lot of organizers give an extra pack to the winner. This article will hopefully give you all the advice you need to make the most of your pulls. Of course the biggest goal of the event is to have fun and get the cards you want. One of the biggest advantages of being at a pre-release is that a lot of people will trade you a good older card for a decent new card. Values of these new cards are kind of high before and after the release the set, but they will eventually fall. So make sure you get out there and get the best value for your trades. 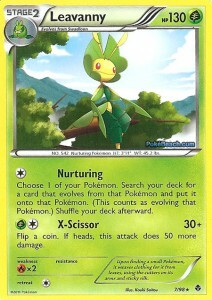 Continue reading "Pikkdog’s Tips for Winning your Emerging Powers Pre Release"
This week, I debut a brand new format of bringing you PokeClass. I have added video content to make the presentation of the information a lot more ‘viewer friendly’ and hopefully you will all enjoy the changes. Emerging Powers is set for release in just a few weeks and we have just had the full set list released to us, so this week, I’m tackling all of the most interesting cards from the set and analysing each one of them. Stay seated for a fairly long episode! Continue reading "PokeClass Episode 38 – Emerging Powers Set Review"
A big hello to all you OHKOers out there. This is Pikkdogs here with a recap of worlds. Before we start with what happened at worlds, lets take a look back at last week. 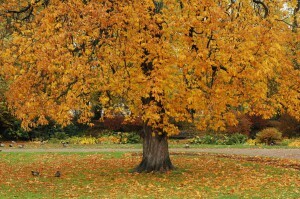 Last week was the first ever www.onehitko.com guest writer week. We saw 6 writers give us some great articles. I feel that we got a lot of cool different information last week, and it was generally a great thing for the site. We would like to thank all of our writers that were in action last week, you all did a great job. Hopefully in the future you will be able to drop by and give us another article. Ed and I would also like to ask all of our readers to tell us what you thought about Guest Writer week. Please tell us if you think it was a good thing for the site by placing your thoughts in the comment box. 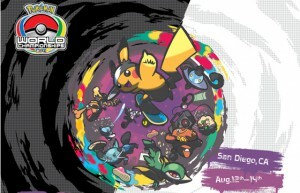 Continue reading "Recapping Pokemon TCG Worlds 2011"